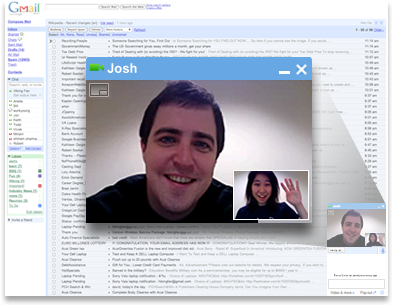 With Google Talk you can do simple chatting, voice chat and video chat. Google Talk is an integrated feature in most Google product like Gmail, Orkut, iGoogle, Google+ etc. To enable video chat in Google Talk you need to install Google Talk plugin. Once this plugin is installed, video chat will be enabled in your gTalk. But after installing this plugin, video chat will be always enabled in gTalk. Whenever you login in gtalk, your status will be available for Video Chat with Video chat icon. There is no option in chat settings to just disable video and have normal chat. Only way to disable video in gtalk is uninstall Google Talk plugin. Go to Start >> Control Panel >> Uninstall a Program. This is very unfriendly way to disable video in gtalk. To enable / disable video in gtalk you have to install / uninstall the plug-in every time. But there is no other option for this in chat settings. I hope Google will soon add option to enable/ disable video in chat settings.